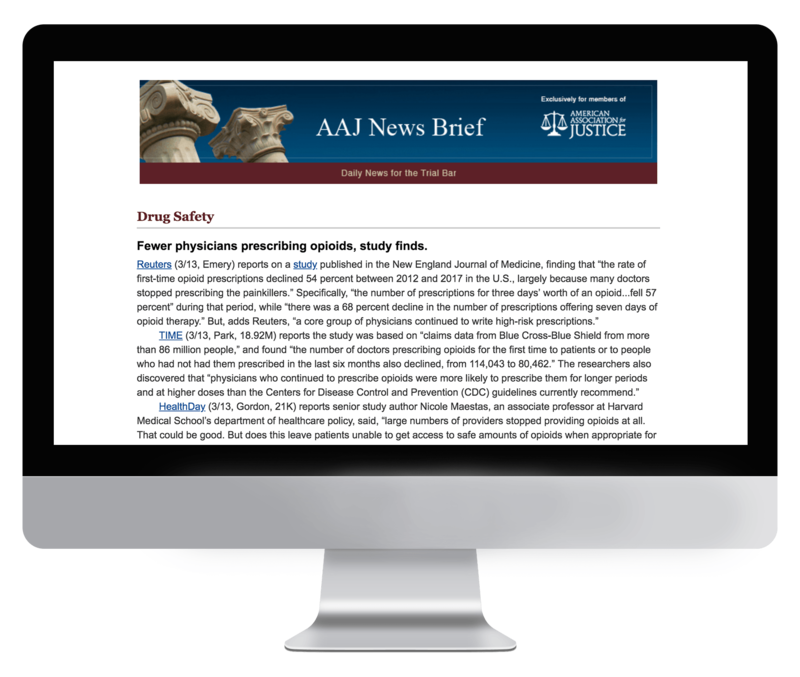 AAJ News Brief is sent exclusively to members of the American Association for Justice (AAJ). AAJ is a broad-based, international coalition of attorneys, law professors, paralegals, and law students. Subscription to AAJ News Brief is exclusively limited to AAJ members. If you are a member of AAJ and would like to receive this briefing, please reach out to the association directly.